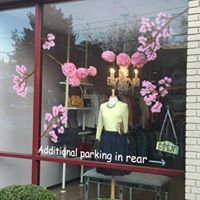 We are now consigning Spring items! ​Walk-ins Mondays, Wednesdays and Fridays 11-5. Saturdays by appointment only. ​less than 4 years old. There are sometimes exceptions – please ask us. Consignments are accepted with 60 day contracts. Items are priced at approximately 1/3 the original retail price, higher or lower prices are determined by quality, demand and season. Once an item has sold, you receive 50% of the selling price. Checks are mailed to you between the 15th and 20th of each month for sales from the previous month. You may use your balance as store credit at any time and receive a 10% store credit discount. Items may be brought in without an appointment between 11am and 5pm Monday, Wednesday and Fridays. Please call us for an appointment for Saturdays. Limit 10 items per consignment period (60 days). Some consignors choose to bring more than 10 items and let Wardrobe Rescue staff pick the 10 most appropriate for the store. Please bring items in freshly cleaned and on hangers or neatly folded. NO trash bags please! We will not accept anything with fading, stains, holes, rips, missing buttons or broken zippers. If we find an item is defective after drop-off we will remove it from the sales floor. We do not accept fakes or imitations. If you bring us an imitation piece you will not be permitted to consign with us. Only premier designer suits are accepted (ie. Chanel and St. John). We do not accept vintage items, or home goods.